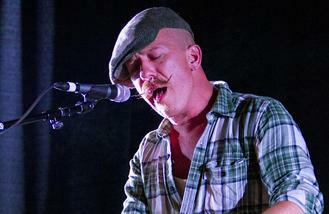 Sir Elton John has chosen Foy Vance to support him on his 'Wonderful Crazy Tour' this summer. The music legend is hitting the road in June in support of his new album 'Wonderful Crazy Night' - which is released on February 5 - and the Northern Irish singer/songwriter will provide support and he can't wait to perform on the same bill as Elton. Vance said: "I'm embarrassed to admit it but the first time I heard Elton play live was when I toured with him in Australia at the end of last year. To cut a long story short, I'm looking forward to getting out on tour with him again this summer, not just for the honor of supporting a living legend but to experience his performances night after night." Vance will open for Elton on several of shows in Lincoln, Leicester, Longleat, Liverpool, Exeter and Edinburgh. The 'Close Hand, Full of Friends' singer achieved his big breakthrough in 2013 with the release of his album 'Joy Of Nothing', which features vocals from Ed Sheeran on the closing track 'Guiding Light'. Vance and Sheeran have remained close and he co-wrote 'Tenerife Sea' and 'Afire Love' on the flame-haired musician's 2014 multi-platinum album 'X' and also wrote 'Make It Rain', the closing song of FX's hit drama 'Sons of Anarchy' which was performed by Sheeran. Last November, Sheeran signed Vance to his label Gingerbread Man Records. As well as working with Sheeran, Vance - who was born in Bangor County Down and developed his music by travelling around America in his youth - has also collaborated with Rudimental on their hit single 'Never Let You Go'. Fergie looks set to release her first album in a decade in March. Shift K3Y has thanked Skrillex for supporting at the very start of his career. Celine Dion was reportedly too grief-stricken to attend her brother Daniel's funeral on Monday (25Jan16), just two days after she said goodbye to her husband. Ellie Goulding narrowly escaped death during a recent visit to Norway after the vehicle she was travelling in plunged into a freezing lake, almost trapping her underwater. David Bowie wrecked Bono's dreams of becoming a rock star, because the U2 singer always knew he'd never be as good as the Thin White Duke. Stooshe are in talks to support a "major" male artist who they are not allowed to name. David Gilmour will perform in Poland with a 30-piece orchestra on June 25. Kanye West debuting new album at Madison Square Garden fashion show.